(Trent Nelson | Tribune file photo) Firefighters on the scene of an incident in Salt Lake City. 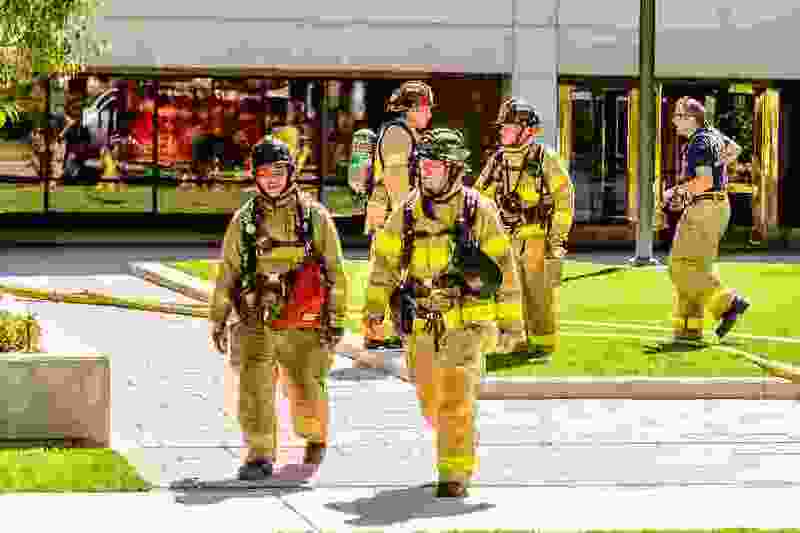 A report issued Thursday says Utah’s public-sector pension system — catering to nearly 200,000 firefighters, police, teachers, judges, politicians and other public workers — ranks third among 163 U.S. pension systems for the healthy returns it receives on some of its investments. Utah public-sector workers who are counting on a secure retirement, rest easy: The state is drawing praise for how it’s managing money in your pension. A report issued Thursday by the American Investment Council ranked the Utah Retirement Systems third among 163 U.S. public pension plans for its healthy returns from investments in companies and funds that are not publicly traded, known as private equity. The Utah system — which serves more than 200,000 Utah teachers, cops, firefighters, judges, politicians and other public employees — saw its nearly $3.5 billion in private-equity investments grow at an average yearly rate of 12.05 percent over 10 years, the council said. Only two public pension funds in the country — Massachusetts’ Pension Reserves Investment Trust and Ohio School Employees Retirement System — saw higher returns than Utah on their private-equity plays, at 13.37 percent and 13.1 percent, respectively. Private equity makes up a relatively small part of Utah’s overall pension portfolio, which now holds a total all-time high of $32 billion. The systems’ managers are now putting about 11 percent of holdings into private equity, or about $3.5 billion. That’s well below the nearly $12.1 billion the system has invested in publicly traded stocks and other equities — the largest part of its portfolio. American Investment Council noted that private equity led other investment types on long-term returns, exceeding 6.1 percent that pensions earned on stocks and other public equity; 5.3 percent they earned on fixed-income assets; and their 4.7 percent returns on real estate investments. Utah added about $160 million to what it invests in private equity between 2016 and 2017, documents show. Its private-equity holdings include stakes in venture capital funds, private growth equity, company buyouts and distressed debt, according to state annual reports, and portfolio managers typically hold those investments for at least 10 years. The Utah system provides retirement and insurance benefits for workers of nearly 470 public employers, including state government, Utah’s cities and towns, its school districts and others. Many other states’ pension systems are in financial crisis, with their future obligations to retirees outstripping cash on hand, Andersen noted.